Today’s businesses are always looking for a way to engage their audience and convert them to customers. With a 95% open rate, and being accessible to 98% of all mobile consumers, SMS marketing is a personal, quick and effective way to communicate with mobile audiences across any device or operating system. To have a great mobile relationship with an audience, however, one must first build a list of SMS opt-in subscriber. 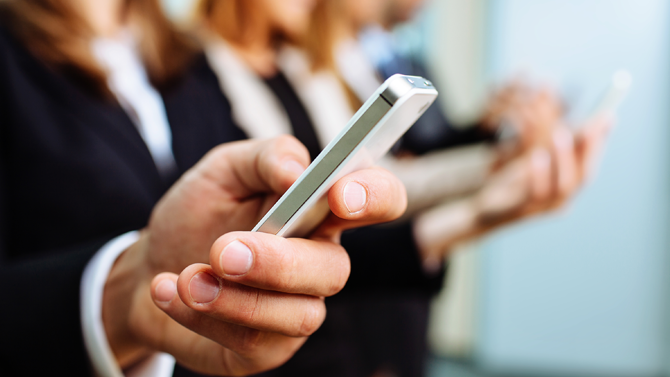 Only when that’s tackled, can a business start interacting with mobile SMS subscribers. It’s at this time that businesses must pay attention to industry best practices while to engaging their SMS subscribers. Consumers who invite marketers into their personal mobile device do so very selectively — more than any other marketing channel, so care must be taken when communicating with them via marketing text messages. These 7 SMS Marketing best practices will guide you to engage your audience, converting them into paying customers, while reducing churn and opt-outs. 1. Optimize user experience regardless of device make or size: When planning campaigns, ensure an optimal user experience by using mobile optimized promotions. Do not send your audience an SMS that requires multiple steps to obtain the offer such as links to a website that is not mobile friendly, only to have them fill out additional information to download the offer. 2. Easy opt-in: Opting into an SMS loyalty program can be tedious for the consumer, specially at the point of transaction. Use an easy SMS opt-in program, such as a kiosk next to retail registers that lets customer enter their phone number to get into the SMS loyalty list. If you are using a short code method, make it as simple as possible. For the best user experience use an easy-to-remember novelty short code number, such as 55155 or 77777. There are both dedicated and shared short codes you can buy from your SMS gateway provider. It is important to have an SMS service provider that offers dedicated codes so you can protect your brand. 3. Personalize the experience: Send exclusive mobile promotions that create a sense of uniqueness. Avoid sending an offer that your audience can find on your website, in print ads, or through another means. Today’s consumers are very connected to their smartphones and text messages. If they have let you into that personal experience — make it personal. This means gauging customer preferences through mobile surveys and polls, rewarding survey participation with valuable offers, and then using the survey results to serve future offers that are more fine tuned to a particular customer’s survey responses. 4. Value and timing: The ‘when’ component of your marketing is very important. Your audience expects relevant mobile promotions in a timely manner when it is convenient for them. It is best to send mobile promotions during the hours of 9am to 6pm. Sending your audience SMS messages to their mobile device is personal, so be respectful of when you send these messages, which is best around normal business hours. This is particularly important for enterprise retailers who have customers from coast to coast. SMS messages that are sent across time zones must take the user’s personal time zone into consideration. 5. Monitor the opt-out: To measure the value of your content, calculate the opt-out per delivered message for each campaign. Look at the percentages in a spreadsheet and apply what you learn to deliver better and more relevant promotions. Customers opting to SMS marketing will opt-out if they’re inundated with useless promotions. They will also opt-out in droves if the wrong message is sent by accident. Take care to craft the message and offer with the goal of minimizing opt-out rates. 6. Unique promotions: On TV, Radio and print, marketers get away with pushing the same promotions to the customer multiple times. This is because of the high tolerance of consumers for irrelevant and intrusive TV and radio advertisement. The opposite is true for SMS marketing. Don’t send the same or very similar SMS messages each week. Keep promotions fresh, unique, and exciting for your audience, so they can look forward to your ‘special promotions’. If you’re not giving your audience something unique and valuable each time you send a message, they will jump ship. 7. TCPA Compliance: It goes without saying that every SMS marketing promotions must adhere to TCPA. The law outlines the proper means to acquire consent of a consumer before sending them SMS or making marketing calls. They also preclude “established business relationship” as a means of acquiring consent. Retailers must make sure their SMS vendors and other SMS partners are TCPA compliant. Check out our TCPA compliance tip sheet, where we outline the information that you need to stay TCPA compliant. Do you want to learn more about the value of a mobile loyalty list (SMS) subscriber and how mobile loyalty promotions can grow opt-in list and improve conversions? Test drive FunMobility today!